French regulatory authorities issued two warning notices to investors and service providers in a move that can be seen as a show of both watchdog’s – financial and advertising – anti-FX agenda. The two warnings issued independently by the financial regulator and the advertising regulator aim to reinforce the country’s stance on high-risk investment products. The Autorite Des Marches Financiers (AMF), France’s financial services regulator warns investors on the potential harm of leveraged FX trading. At the same time, the Autorite De Regulation Professionnelle De La Publicite (ARPP), the advertising regulator notified providers of the best practises for marketing and promotion of investment products, including FX. 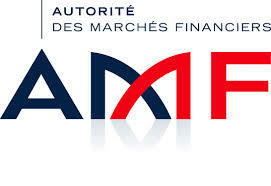 The AMF has been issuing a number of warnings and guidelines on its website for FX. On the 28th of January it updated its current hit list of non-regulated portals that solicit traders. In the current notification, issued on the 13th of March, investors are reminded of the specific risks of leveraged trading. The regulator outlines an example where it describes a 100 Euro investment using four hundred to one leverage and the consequence of a 10% move against the trader’s position. Anne-Claire Bennevault, Deputy Managing Director, Marketing and PR, Western Europe, Saxo Bank, shares her views on the notifications in a comment to Forex Magnates, she states: “The aim of the Autorité de Régulation Professionnelle de la Publicité’s (ARPP) report is to protect investors by stopping advertisers showing unauthorized campaigns. However, the individual brands are responsible for the suitability of their message and some “unregulated brokers” have tried to take advantage of non-financial media outlets. Two years ago, a group of foreign brokers arrived on the French market using over-promising promotional messages for their forex trading online campaigns. These campaigns did not reference risk as well including logos of financial regulators to misguide prospective users. The opening paragraphs of the note state that: “Investing in forex seems more simple than it is,” (translation from French). The note continues with clarification from the AMF on the mis-selling of quick gains in the FX markets. “The guidelines are no different to standard rules followed by us in the UK,” explained one London-based FCA broker who deals with French investors. France is expected to develop its derivatives trading landscape over the next 18 months as traditional investors will explore alternative investments in light of the record low interest rates currently in place. Furthermore, the number of investors are expected to rise due to the abundance of news and information portals in the French language that have popped up over the last six years. France has been a slow comer to the world of FX and CFD trading, hence the regulators’ continuous concern with margin-based FX brokers. Forex Magnates expects France’s FX trading environment to witness an increase of 8% over the next 12 months. The AMF issued an additional warning on the 12th of March, which covers pyramid schemes and dubious investment programmes. It specifically mentions investments in the FX markets.